Hansen, Collin and Jeff Robinson, eds. 12 Faithful Men: Portraits of Courageous Endurance in Pastoral Ministry. Grand Rapids: Baker Books, 2018. 187 pp. One of the challenges facing our insta-everything, have-it-your-way culture is that the gap between difficult circumstances and crisis, called patience, has evaporated. Patience or endurance in the midst of difficulty without falling apart is often non-existent. Things like flat tires, a failing paper, and caring for a constantly crying newborn—that which previous generations simply referred to as “Life”—are now treated as crises. This every-difficulty-is-a-crisis mentality even flows into ministry as pastors and leaders, whose responsibility it is to do the difficult-but-delightful job of leading the flock towards Christ in ways the flock wouldn’t go apart from their presence, often despair to the point of quitting ministry when one critical word is spoken about a sermon or when the church body doesn’t instantly get on-board with the mission and vision that’s being cast. Wanting to help pastors endure in the midst of trials of various kinds, Collin Hansen and Jeff Robinson have edited 12 Faithful Men: Portraits of Courageous Endurance in Pastoral Ministry. 12 Faithful Men is written to demonstrate that “before (or often while) God uses his ministers, he first fits them for gospel work with a harrowing walk along the Calvary Road of suffering” (18). 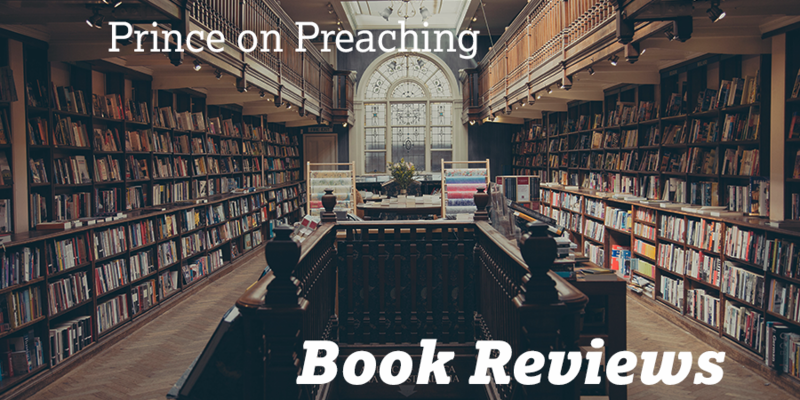 Starting with Paul and moving to John Calvin, John Bunyan, Jonathan Edwards, John Newton, Andrew Fuller, Charles Simeon, John Chavis, Charles Spurgeon, J.C. Ryle, Janani Luwum, and Wang Ming-Dao, Hanson and Robinson compile various essays to encourage pastors to faithful ministry patience and endurance by drawing out the gospel principals these men of old depended on as they were afflicted, exiled, imprisoned, driven from the pulpit, disappointed, heartbroken over family, despised by the flock, mistreated because of racism, sorrowful and depressed, faced personal ruin, were killed, and faced political coercion over the course of their ministries yet who endured faithfully the task Christ set before them. One of the great aspects of this book is the way it demonstrates God’s preserving grace to faithful ministers no matter the circumstances. Are you struggling because your church wants to fire you for standing against the hellish sin of racism? You’re in good company. Jonathan Edwards was fired for standing firm on biblical convictions to which his church refused to believe, and John Chavis was an African-American preacher who lost his ministry because of his skin color. Is your church not buying in to your ministry vision? Keep leading with the gospel, depending on God, knowing that he sustained Charles Simeon for over a decade as his church members refused his appointment as pastor. The scope of the book demonstrates that there’s no difficult circumstance brought to you that hasn’t been endured before through which King Jesus cannot sustain you. The global diversity of the faithful men of old represented is helpful. I had never heard of John Chavis, Janani Luwum, or Wang Ming-Dao, men faithful to the gospel who were African-American, Ugandan, and Chinese. Reading about faithful brothers outside of one’s own Christian context helpfully reminds us that Christ is building and sustaining his church from every tribe, tongue, nation, and language in ways far greater and far more glorious than what our eyes are privy to see, and it reminds us that there are spiritual insights to learn—including about endurance—from such believers (Rev. 7:9-10). Finally, the theology of suffering as integral to ministry presented throughout this book sets forth a biblical expectation for ministers. Trials and suffering will come for all, including ministers, in this fallen world as through them the Lord makes us complete in Christ, rid of our attachments to the sinful things to this world, and fit for a new heavens and a new earth where sin and death are no more (James 1:4, pg. 81). American culture calls us to expect comfort and ease, to have it your way right now. The gospel calls us, especially ministers, to expect trials and to fill up what is lacking in Christ’s afflictions so that the love of the ascended Christ may be visible in the world today through his Church (Col. 1:24). Being reminded that Christ promises affliction for the good of his people should help us not be caught off guard and turn to crisis mode at the sign of difficulty, but should cause us to expect trials, to embrace the fact that through trials eternal good will come, and to exalt our sovereign God who lovingly works in us to fit us for life in the consummated kingdom of Christ through trials. 12 Faithful Men is a call to courageous endurance in pastoral ministry that attests to the preserving grace of God in Christ to his faithful under-shepherds, no matter what. This excellent resource erases expectations of pastoral ease by grounding ministerial affliction to the gospel so that ministers are prepared to endure trials of various kinds with patience in Lord. I heartily commend this work to all Christians, especially to ministers facing trials and to aspiring ministers. May it help us to be faithful gospel men of courageous endurance.